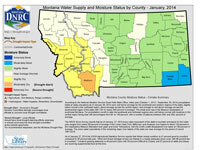 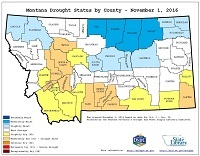 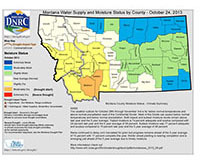 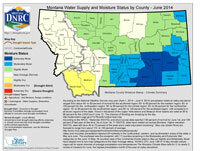 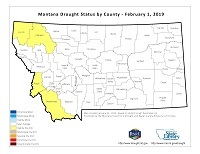 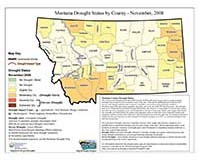 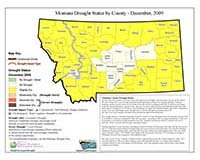 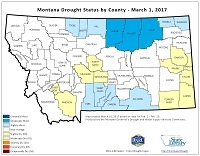 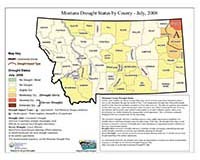 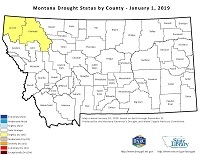 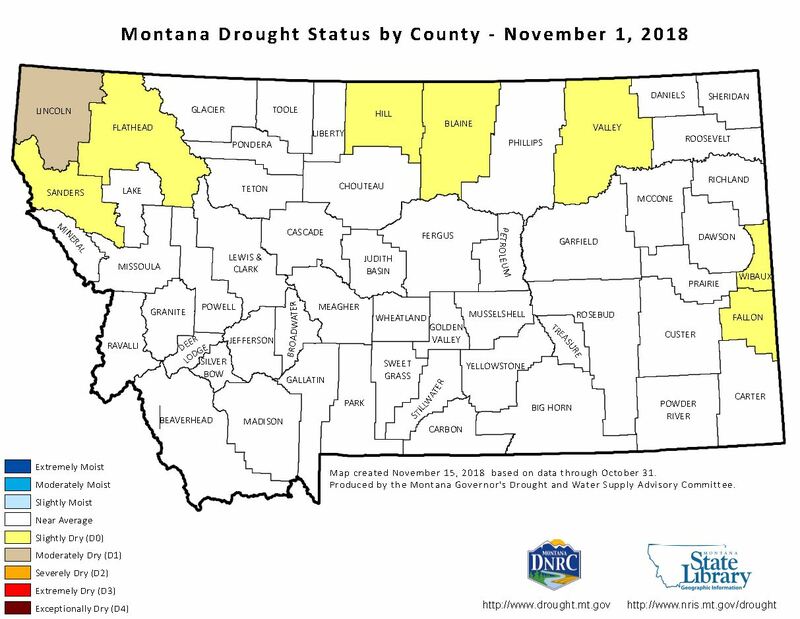 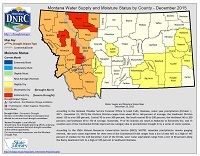 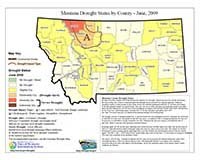 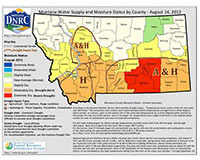 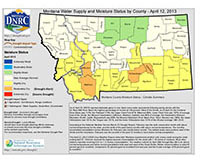 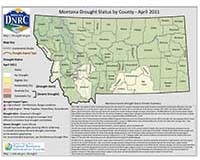 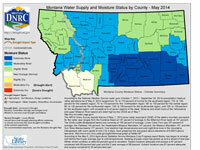 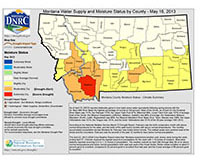 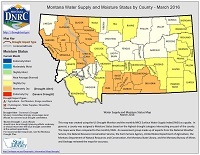 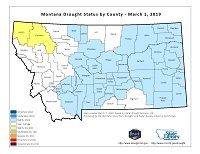 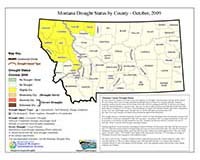 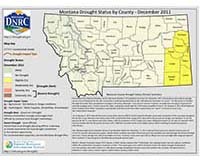 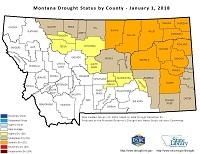 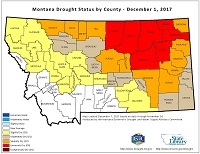 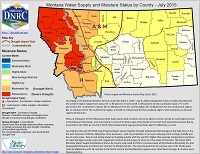 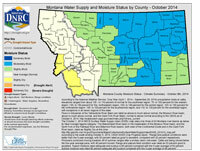 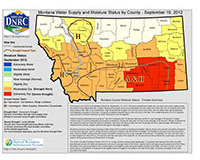 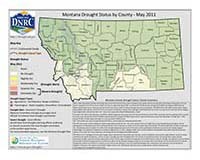 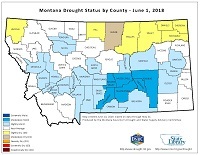 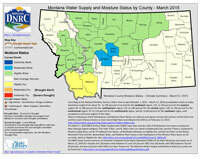 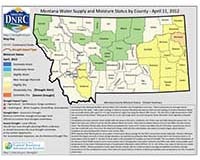 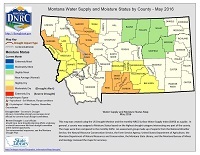 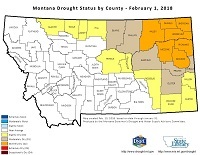 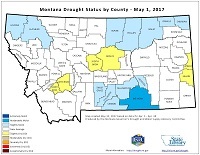 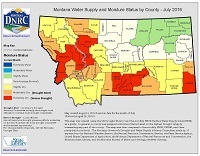 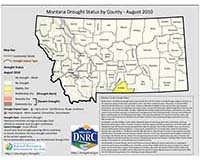 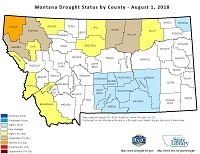 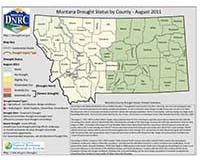 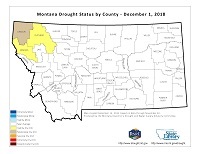 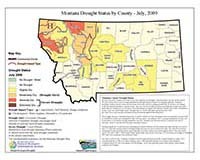 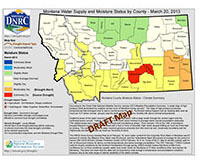 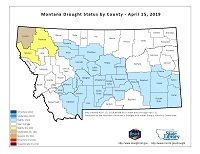 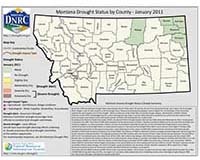 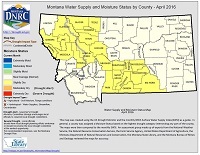 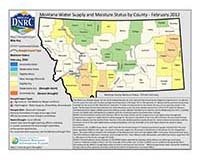 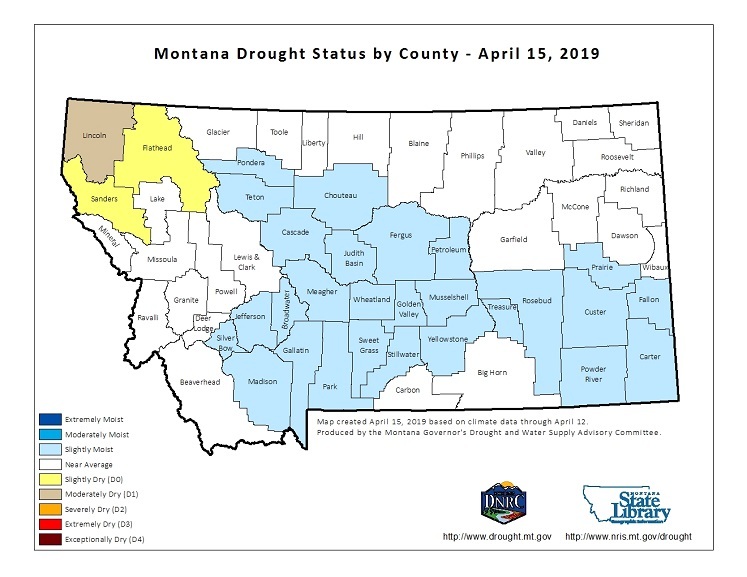 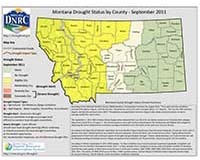 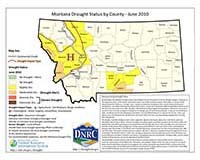 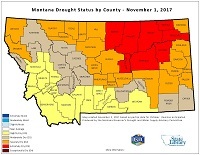 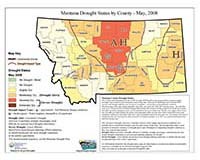 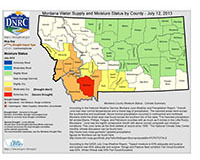 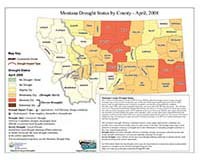 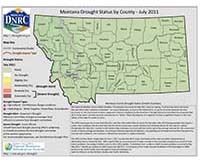 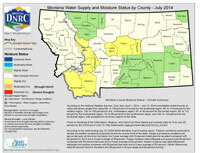 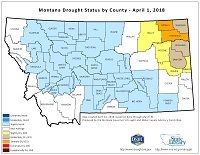 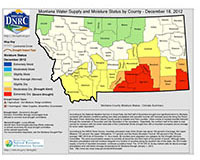 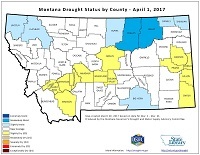 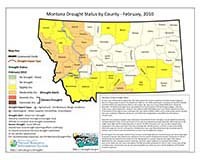 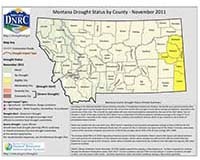 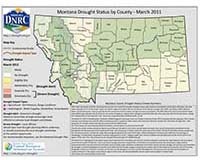 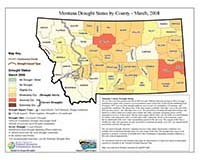 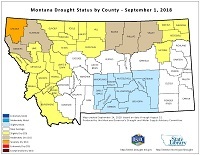 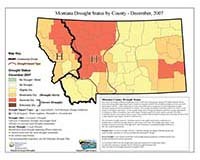 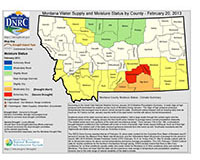 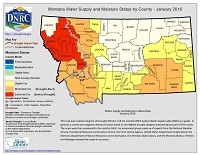 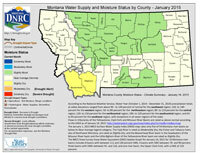 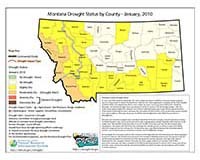 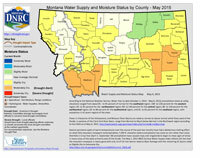 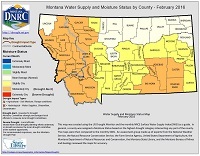 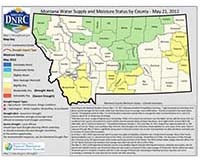 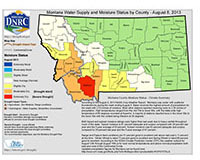 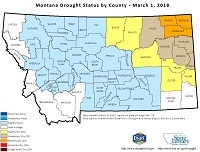 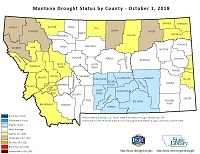 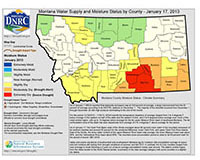 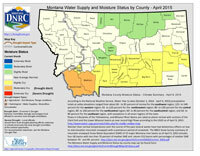 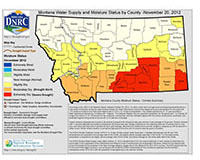 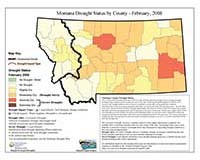 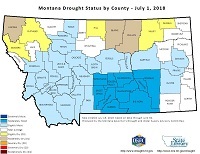 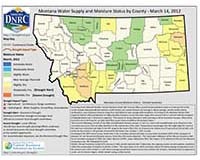 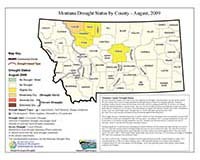 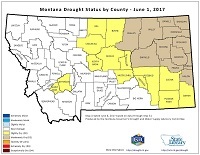 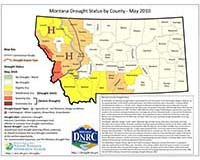 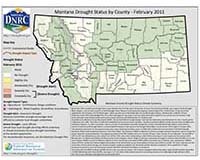 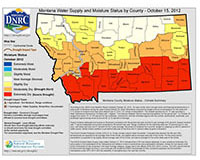 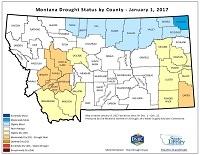 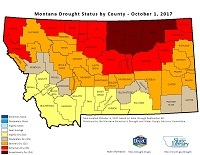 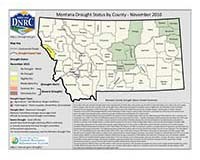 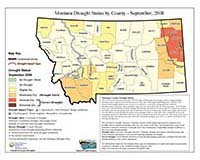 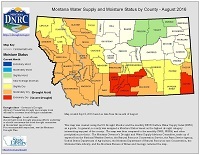 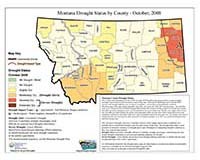 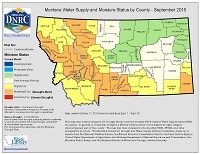 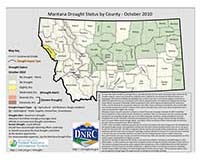 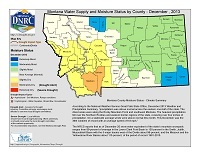 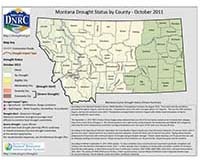 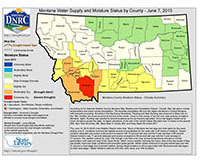 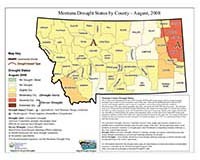 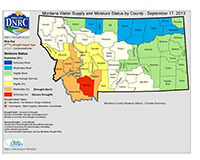 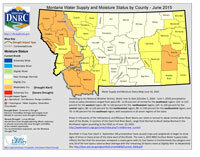 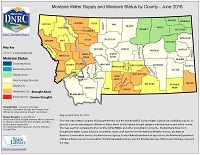 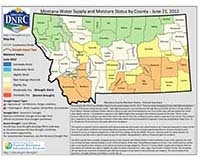 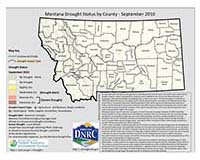 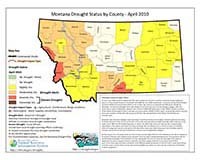 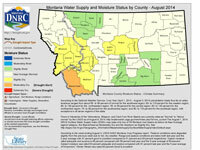 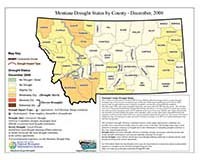 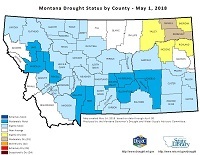 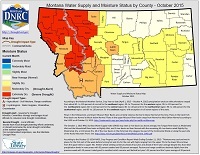 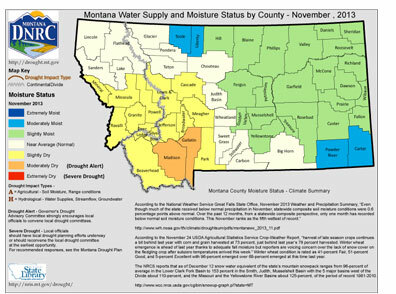 In coordination with the Montana Governor’s Drought and Water Supply Advisory Committee, the Montana State Library publishes monthly maps of moisture status by county. 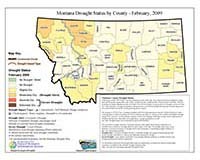 This webpage allows users to easily download, view, and compare moisture status maps between months and years beginning in 2002. 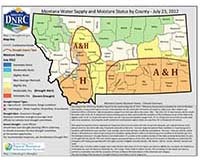 New maps are published approximately the first half of each month. Montana Drought Impacts Reporter – Report on conditions in your area with this quick, easy questionnaire. 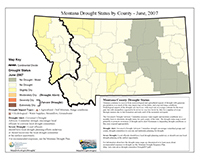 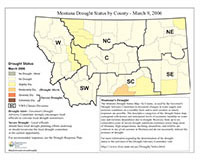 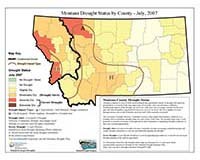 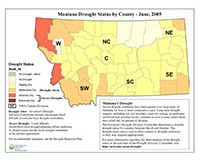 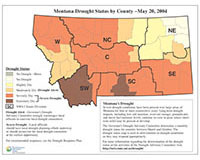 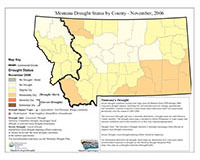 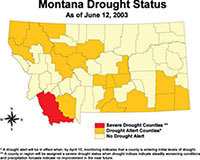 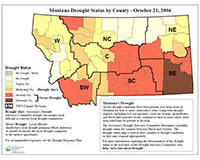 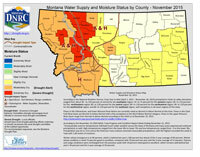 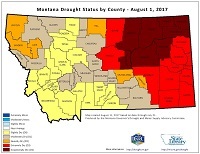 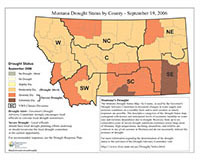 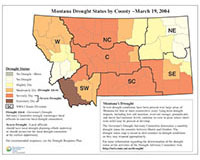 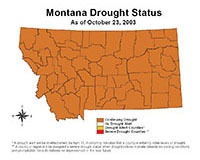 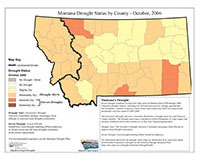 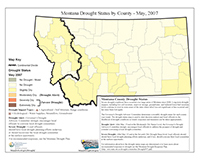 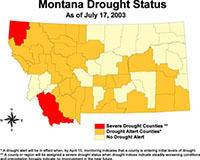 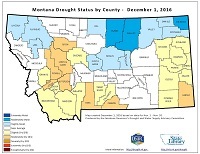 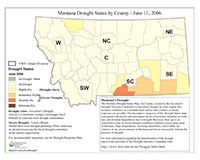 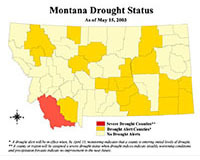 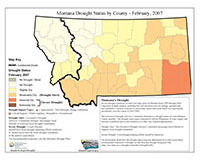 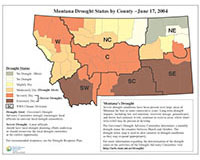 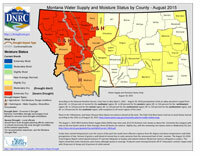 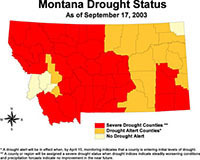 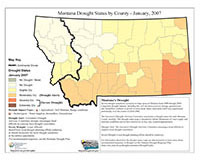 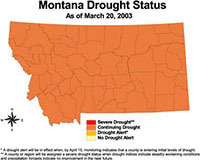 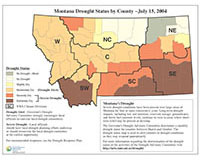 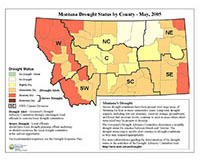 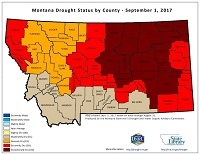 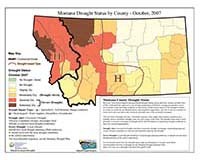 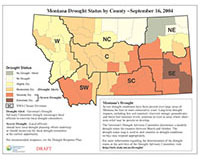 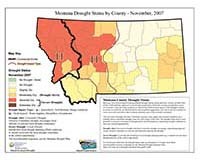 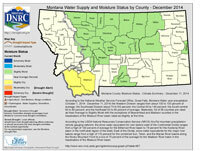 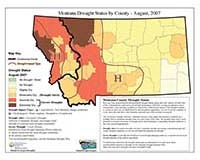 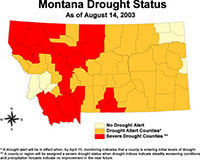 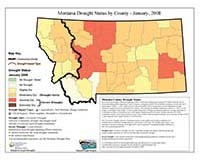 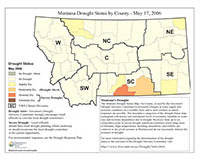 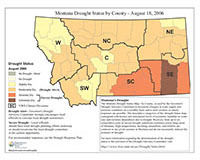 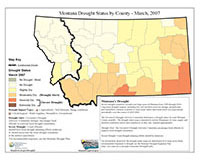 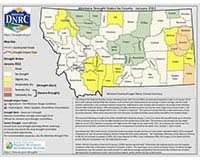 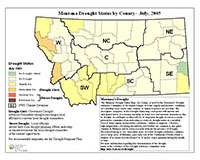 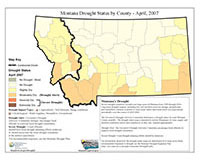 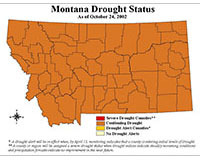 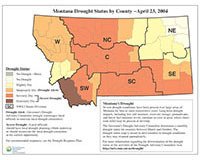 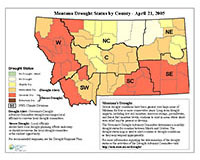 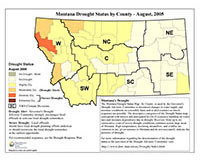 View Reports – View maps and graphs of responses received through the Montana Drought Impacts Reporter. 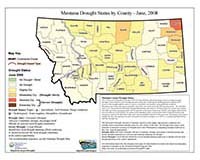 View a Drought Status by County Map by choosing the month and year of interest from the dropdown box or by selecting from the thumbnails below. 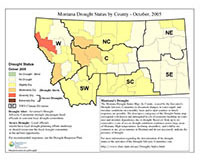 Asterisk (*) denotes missing map.